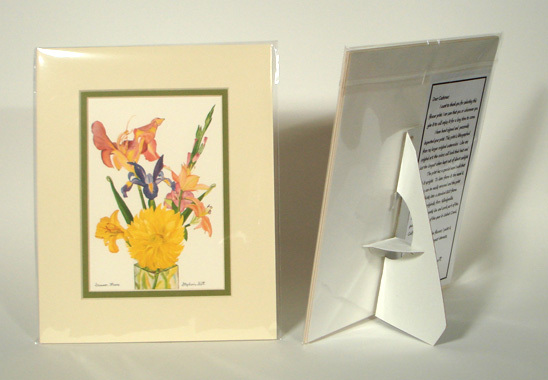 An attached self-easel, that makes the print free-standing and easy to display without needing to be framed. Or it can easily be put into a frame. 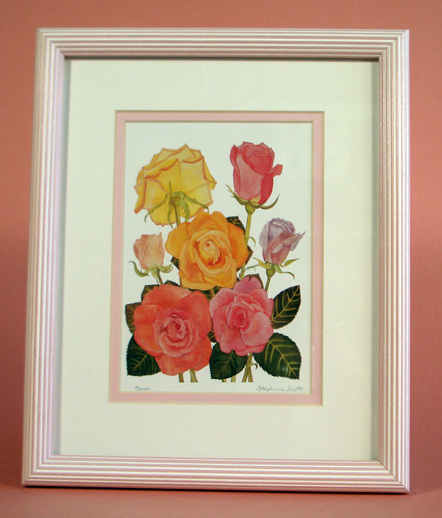 Your print is sized to fit perfectly into a standard frame. 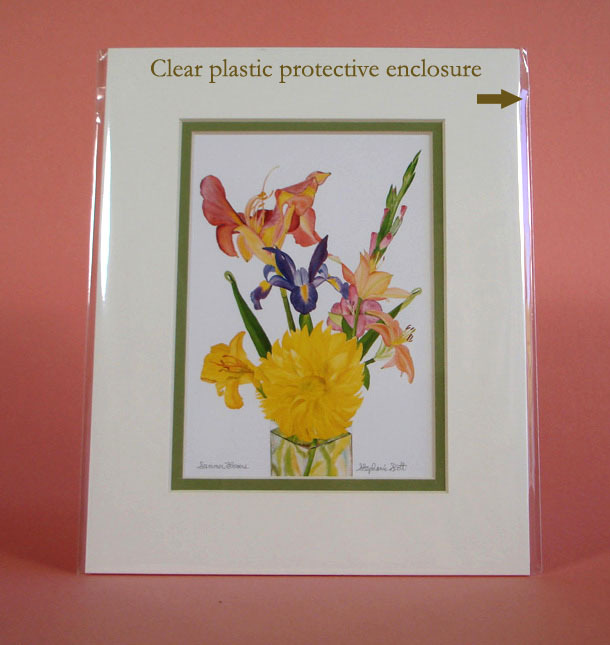 You can even pick up a nice frame in your local drug store for only a few dollars drop your print into it. 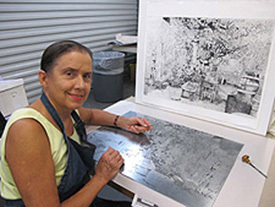 Stephanie has added her personal touch and an additional value to your print. 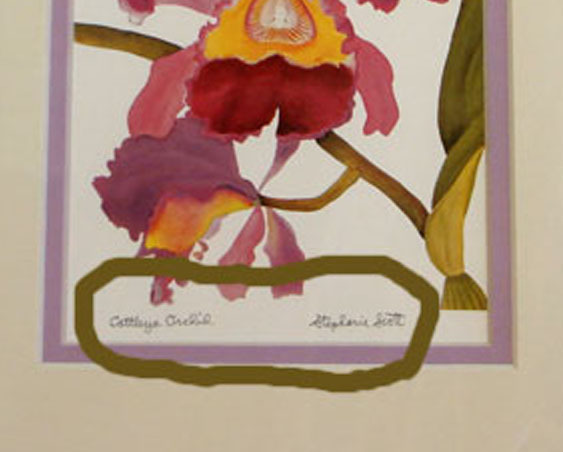 These colors match the color of the paper the flower is printed on. Inner mats come in a variety of color choices. 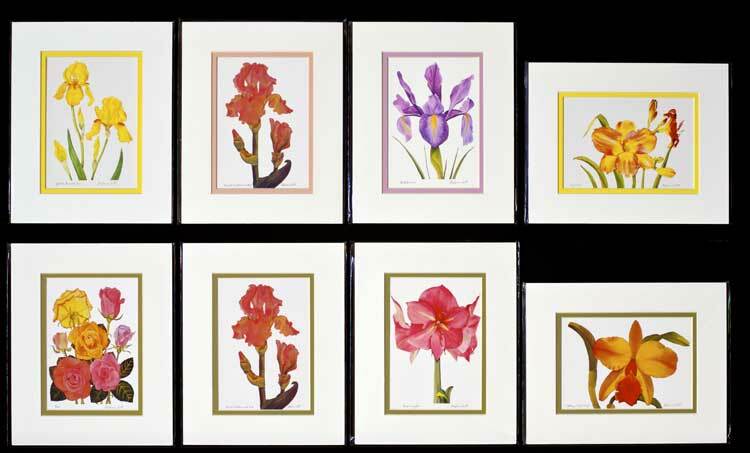 The flowers and inner/outermat color combinations have been carefully selected by Stephanie. 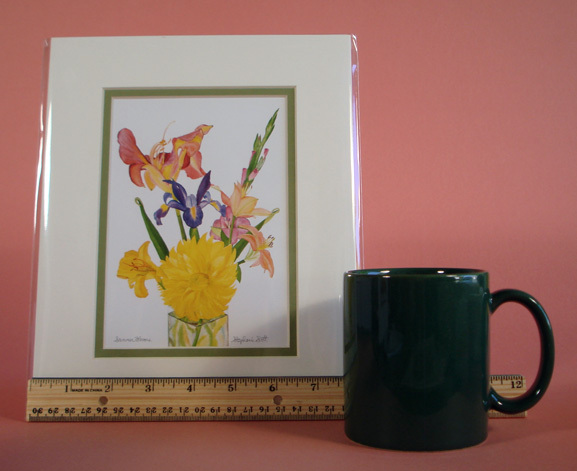 8″ x 10″ so that you can easily and economically frame the piece. This is important because she has inspected it and it meets her approval to be sent to you. 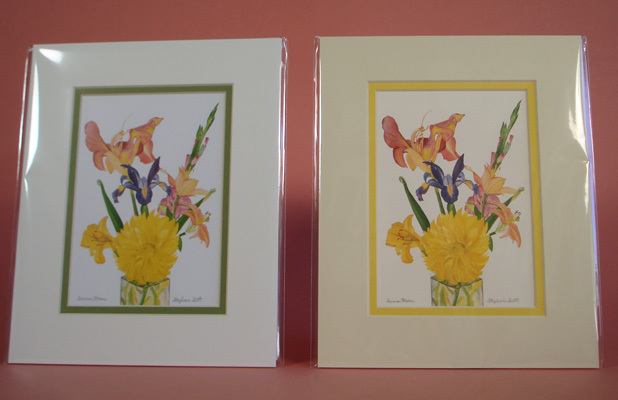 She has also added her personal touch and an additional value to your print.